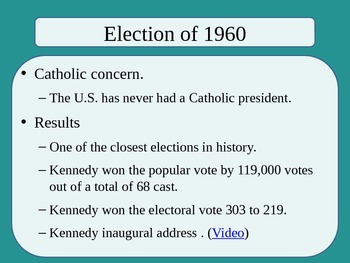 This PowerPoint is for the Glencoe The American Vision: Modern Times textbook. 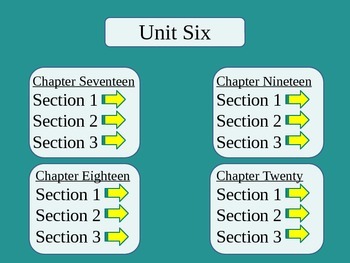 The PowerPoint is for Unit Six (chapters seventeen, eighteen, nineteen, and twenty) of the book. 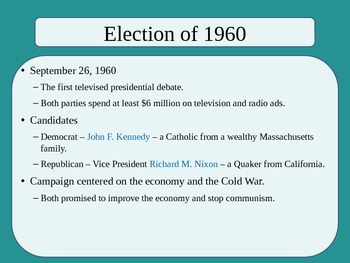 This PowerPoint is a very basic design but can be easily modified by adding pictures, maps, etc. Links to several Youtube clips are included throughout the presentation. 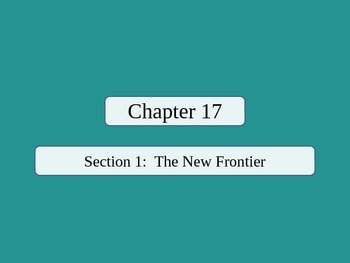 The first slide includes links to each section of each chapter for easier navigation. Outlines for the three chapters in the unit are also available in my store. A complete PowerPoint of all seven units and twenty-four chapters is also available for a discounted price.